Over one hundred volunteer students from Australia and around the world have built a vegetable garden for residents of varying abilities, at a top end Western Australian service provider thanks to the travel company Rustic Pathways. Students and international volunteers helped create a vegetable garden at Juniper Kununurra Community Care. Rustic Pathways specialises in creating empowering travel experiences that positively impact communities across the world for students and volunteers. 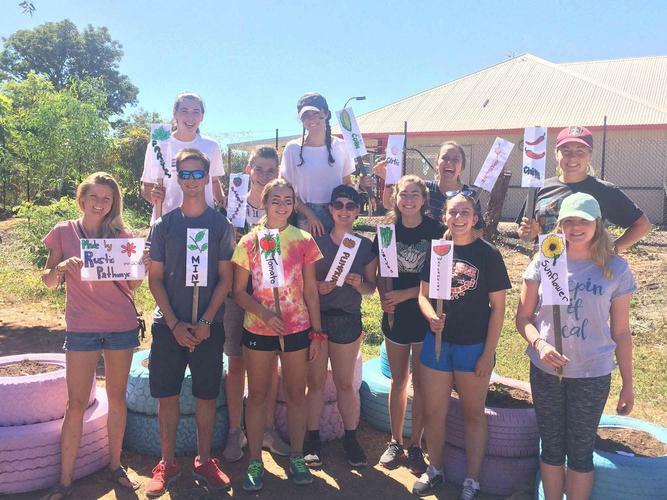 The company arranged for three Australian school groups from Canberra, Melbourne and Sydney along with volunteers from Japan, Spain, Sweden, China and the USA to visit Juniper Kununurra Community Care to work on its garden. Community Operations Manager Brenda Murray said clients and staff very much enjoyed the visits. “Not only do we now have a beautiful garden that will provide fresh vegetables and herbs but we have established a new and hopefully long-lasting relationship with the team from Rustic Pathways,” she says. Rustic Pathways Outback Operations Manager Melanie Ward says 103 volunteers contributed to the project at various times. “Our goal was to create a garden at wheelchair/sitting height so clients could plant and grow their own produce while enjoying the Kimberley sunshine,” she says.